Buying a franchise? Know your costs up front. Although the entry costs and ongoing expenses of buying a franchise may seem steep, it also costs money to start your own business. One of the advantages of choosing a franchised business is that you enter with your eyes wide open regarding startup and future costs. Based on the experience of existing franchisees, franchisors can provide you with a picture of what it will cost to start the business, your ongoing expenses, and often a good approximation of when your revenue stream will turn positive–valuable information you won’t have if you start your own business. Every franchise company will require you to pay an initial franchise fee. Most franchise fees are between $20,000 and $100,000. In some cases, you may see franchise fees less than $20,000. These franchises with lower franchise fees are usually home-based or mobile franchises. The franchise fee usually covers the cost of training, support and site selection. The items or benefits that are included in a franchise fee are different for every company. In some cases, the franchise fee is just an upfront licensing fee for the rights to use the franchise name. Anyone considering buying a franchise should consult with a franchise attorney. Your franchise attorney will help you review the Franchise Disclosure Document (FDD) and the franchise agreement. There is no free from the franchisor to review these documents however you may have a fee from your attorney. It is safe to say that you should budget anywhere between $1,500 and $5,000 to pay to a franchise attorney. The amount of time you spend with your attorney will determine the overall cost. Once you have decided on a franchise and a specific location you will be given an estimate from the franchisor of your overall build-out costs. This will include all furniture, fixtures, equipment and signage. 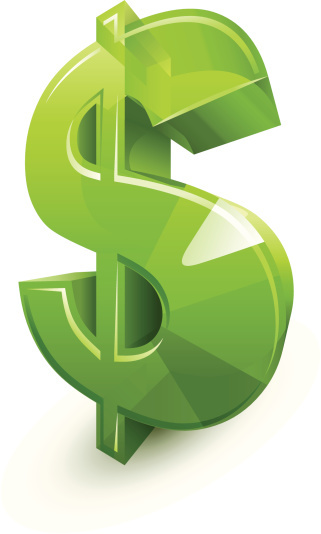 Of course if you decide to buy a home-based franchise there are no build-out costs involved. You may have some other costs for software applications or computers but sometimes these items are included. If you are buying a retail franchise or any other franchise that will involve the sale of products you must stock up on inventory. Once again, every franchise is different and has different requirements. You may be required to buy between $20,000 and $150,000 worth of inventory. All new businesses require you to have the proper supplies to run your business. Your franchisor should be able to give you an accurate estimate of what is needed before you open your franchise. But be sure and ask for these supply costs. Working capital is the amount of day-by-day cash available to a business. Depending on the type of business, it is important that the working capital cover a particular length of time, ranging from a few months to possibly two to three years until the business is in full swing. The franchisor typically provides an estimate of the amount that is needed. Make sure you consider all the costs and carefully read the FDD. This will give you considerable information to make the most informed decision about buying a franchise. Having the experience and support of a reputable franchisor behind you is worth a considerable amount of money when you consider what you would have to spend to achieve the same level of assistance on your own. If you have questions or concerns, you should feel comfortable communicating with the franchisor. They will help you estimate your costs as much as possible since it is in their best interest to make sure you have sufficient capital to successfully fund your new business. Knowing the financial investment and risk in advance will increase your chance for success and alleviate some of your stress.